Property Link was founded amidst the 1989 recession by two ambitious brothers, in the heart of East London. Since its very inception, an honest, professional and friendly service has been the cornerstone of our ethos, bringing us long-running clientele that have come to expect those very things that separate us from others. Over two decades later we are a reputable establishment, with three thriving offices in East London and Essex. Of course, all estate agents sell, rent and manage properties, but at Property Link, we are at the pioneering front with decades of experience, vast local knowledge, and the level of personal service that our clients know to be unrivalled in the market. Although our portfolio covers all of east and central London, our comprehensive local knowledge expands far beyond location and price. All our offices regularly maintain up to date information regarding local council tax brackets, rents and utility charges. We will even guide you on the best performing schools, nearest leisure facilities, fastest transport routes, local parking restrictions and even refer you to our vetted local tradesmen. These memberships provide sellers, buyers, landlords and tenants with peace of mind that they will receive the highest level of customer service. Property Link is not a stereotypical sales hungry estate agency. Our aim is to obtain the best premium price possible as we pursue quality not volume. 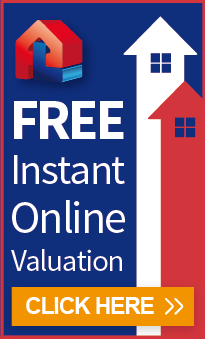 We are truly an independent firm of estate agents i.e. not part of a chain, franchise, or owned by overseas investors. Indeed, we are passionate about what we do and how we do it. Could you get hold of a director if you needed to? Investing in property is the largest and most complex investment an average person makes in their lifetime. There has never been a greater need for reliable, experience and skilled staff. Instructing Property Link as your agent is a great way to start.